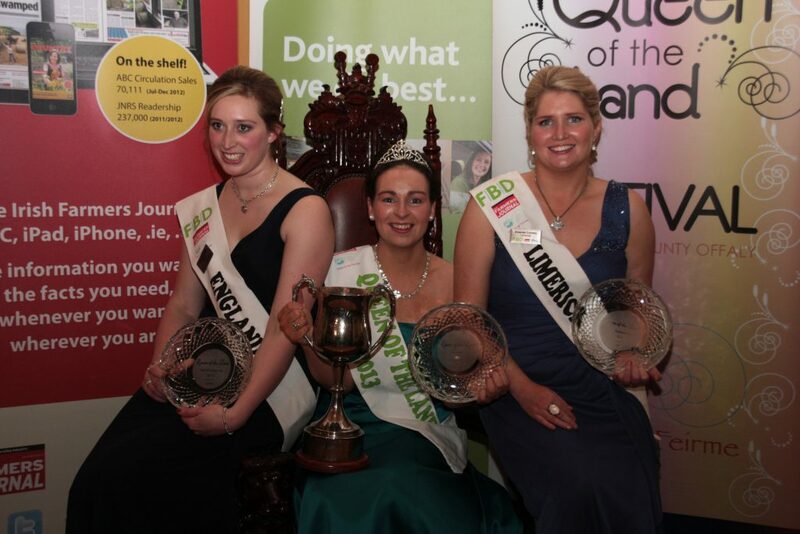 Cork woman, Geraldine Barrett, has been crowned the 49 FBD Queen of the Land in the Bridge House, Tullamore last weekend. A secondary-school teacher from the Carbery region of Cork, Geraldine will now represent the festival and Macra na Feirme at many high-profile events during the year. Geraldine was unanimously decided upon as the winner by the esteemed judging panel of Damien O’Reilly of RTE Radio 1, Kathleen Leonard of FBD and the 2012 FBD Queen of the Land, Teresa Maria Brennan. In second place was Amanda Conway, a trainee manager from Croom in Limerick and in third place was the first ever queen from England, Kate Wainwright. Kate runs her own accountancy business in Derbyshire. He also congratulated the winners on their success and thanked all the participants for taking part in the festival. Mahon also thanked FBD for their ongoing support and generosity to the festival. He ended the night by announcing that the 50th Queen of the Land festival will take place in Tullamore next year from 7-9 November 2014. 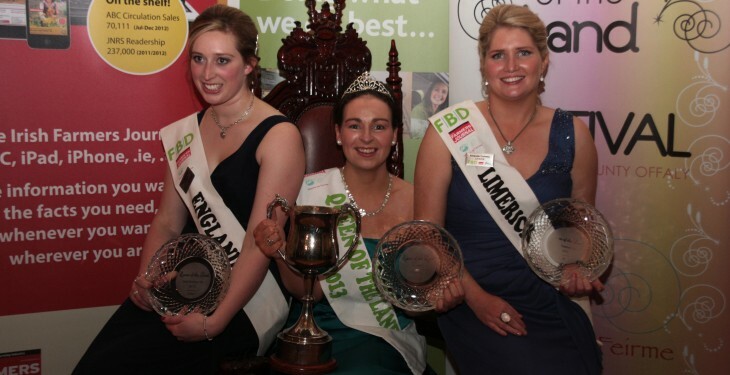 Pictured: The top winners at Macra’s FBD Queen of the Land – 3rd place, England’s Kate Wainwright, overall winner, Geraldine Barrett, Carbery, Cork and in 2nd place, Amanda Conway, Limerick.